Fastway Tracking. Delivery Tracking System for Fastway. Fastway Global, Fastway New Zealand, Fastway Ireland and Fastway South Africa. Do not use spaces or other (+ - / * ? & = ! ') characters. After clicking on the "Track" button on the left, you will be directed to the tracking result page on Aftership.com. This page creates just a link automatically for requested information with form restructuring. 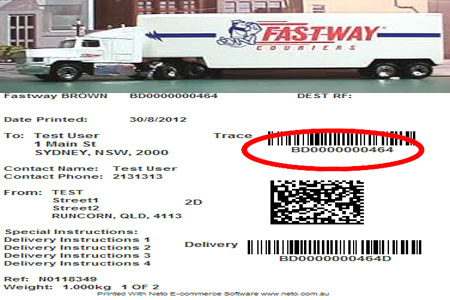 Customer can track the shipment using Fastway Parcel Label Number. The most common tracking number format is 2 alphabetic characters and 10 digits (e.g. FQ 123 456 7890) . Some other less common formats may also exist. Online Tracking Numbers COM never makes logging and does not use Fastway's any of the information system definetly. The company currently operates in Australia, New Zealand, Ireland, Northern Ireland, and South Africa. Fastway Couriers provides domestic express courier service across Australia, serving mainly small to medium sized businesses. Fastway Couriers is a domestic courier distribution service provider in New Zealand. It has more than 250 franchise partners from the Northland to Southland. Fastway Couriers provides domestic express courier service across Ireland, serving mainly small to medium sized businesses. Fastway Couriers provides domestic express courier service across South Africa, serving mainly small to medium sized businesses. Fastway Tracking, You can find a shipment no at the voucher that you get from Fastway, by your shipment. You can follow your post. Tap the shipment no on the site and immediately see where your package is at the moment, day to day. Package tracking is achieved by redirecting your inputs to related Fastway Tracking service query addresses. Your private information such as your tracking numbers, cookies, session information are not logged in our site. 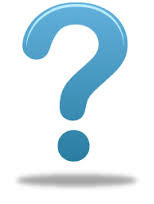 If you have any question regarding the delivery process of a package, call: +61 (0) 2 9737 8288(Australia), +64 (09) 634 3704(New Zealand), +353 1 4242 900(Ireland) or +27 0861 222 882(South Africa). Courier Companys automatically assigns a tracking number to your shipment. Tracking numbers are numbers given to packages when they are shipped. Tracking numbers are useful for knowing the location of time sensitive deliveries. Fastway Tracking numbers are used by Fastway to identify and trace shipments as they move through the Fastway system to their destination. By log in your Fastway Tracking number can you your package ID by entering the detailed information online following, you can know where your package is at the moment. superminimom: @drunkonyou___ Today the fastway courier guy threw my package over the back gate so my dogs could play with it...they are fking useless !! !